On Sunday, April 1, 2018 at Wildwood Community Church, I preached a sermon based on Luke 24:1-12 and Colossians 2:6-15. 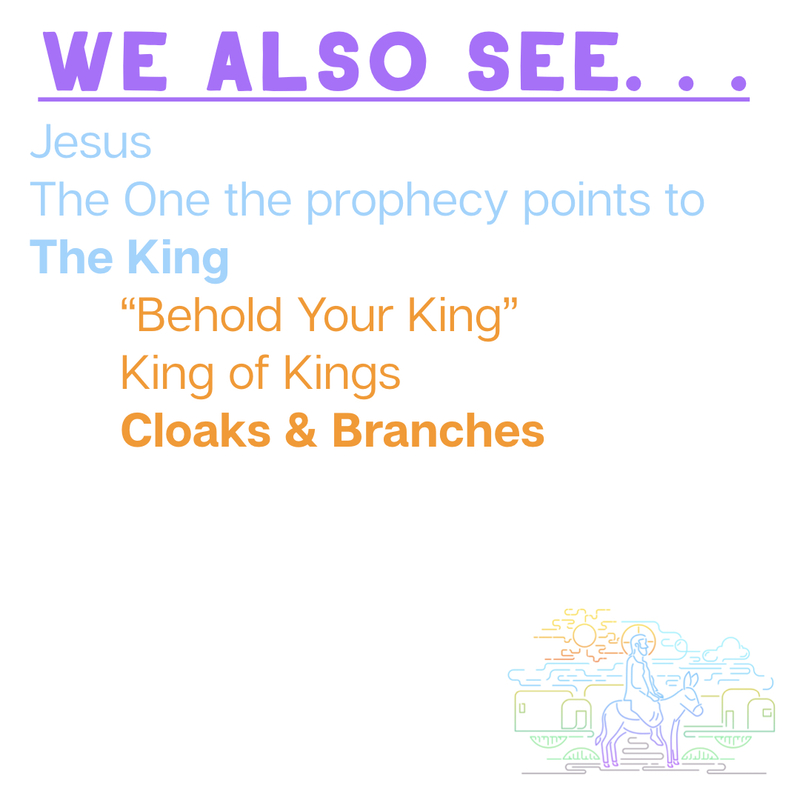 This message was a part of our Easter services for this year. Below you will find the sermon audio to listen to online or share. 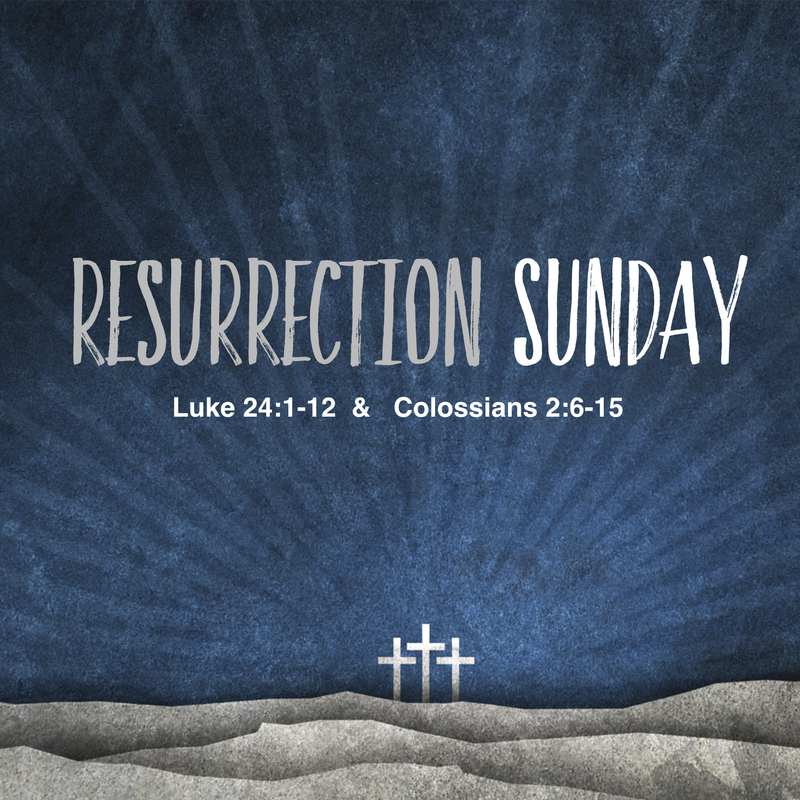 On Sunday, April 1, 2018 at Wildwood Community Church I preached a message based on Luke 24:1-12 and Colossians 2:6-15. This was the Easter Sunday sermon for this year. Below you will find a set of questions related to this message for further reflection or group discussion. 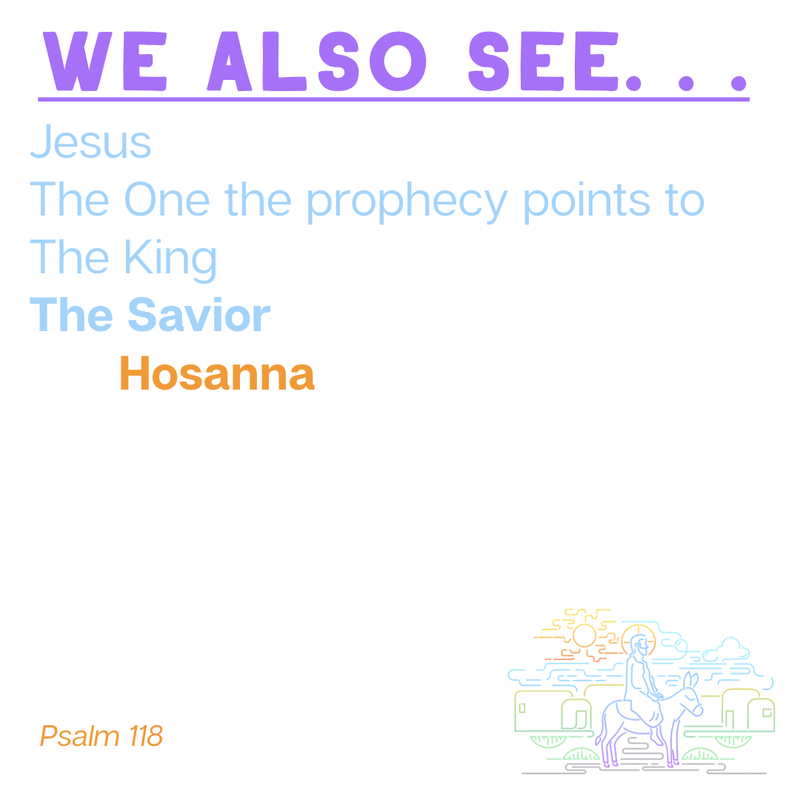 The historical events remembered this weekend (the crucifixion and resurrection of Jesus Christ) have been called the most significant events in the history of the world. In what way do you think that is true? What questions does this statement bring to your mind? 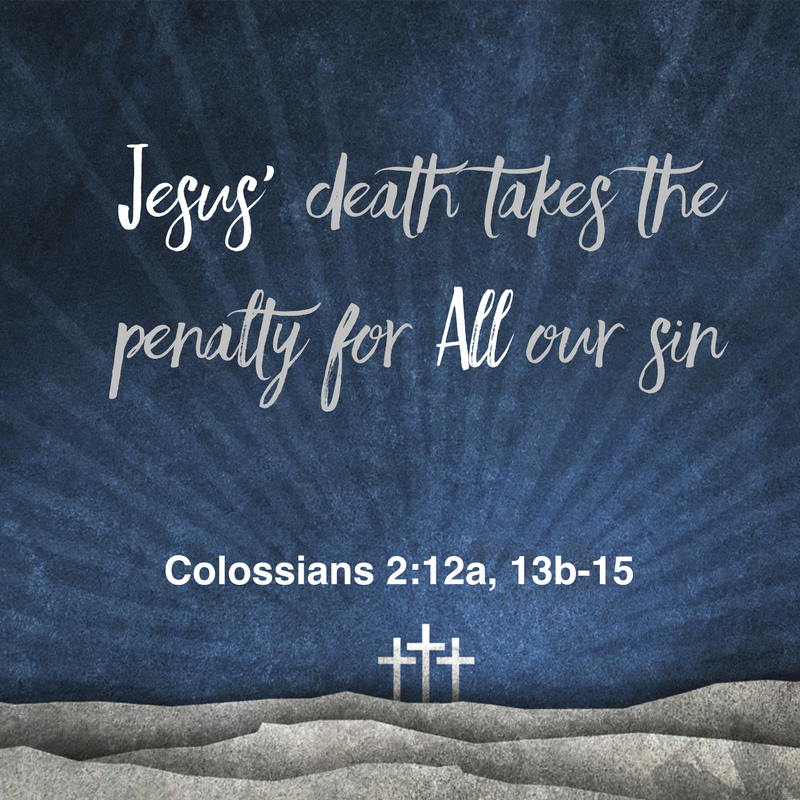 According to Colossians 2:12a, 13b-15, the death of Jesus accomplished something very important for us. What is it? Think of your past for a moment. What sin that you have committed “haunts” you still today? How do these verses indicate Jesus deals with our guilt and sin? 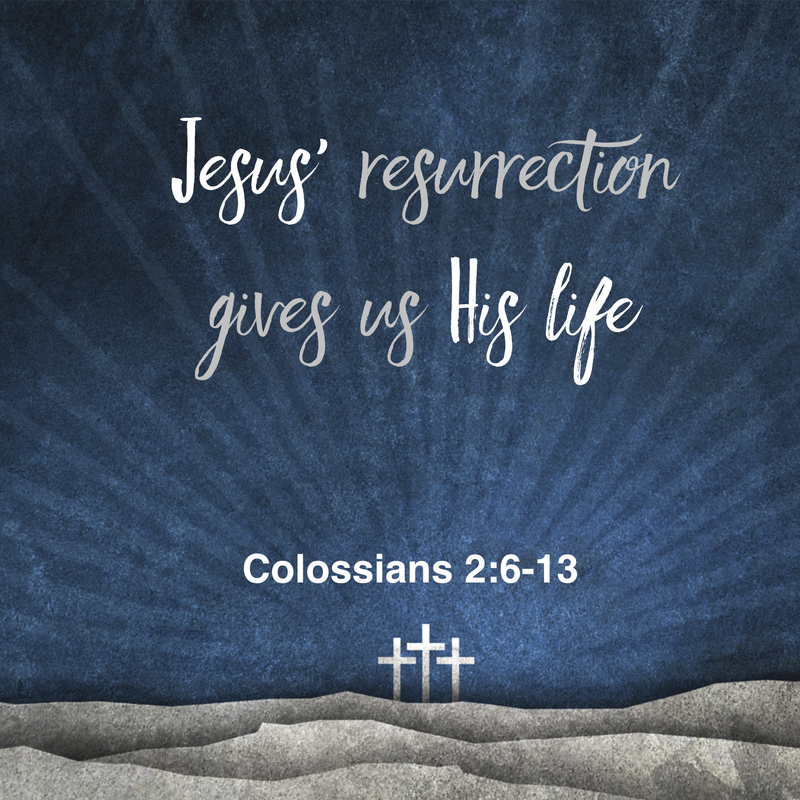 According to Colossians 2:6-13a, Jesus’ resurrection sets us up to live a “new life” today. 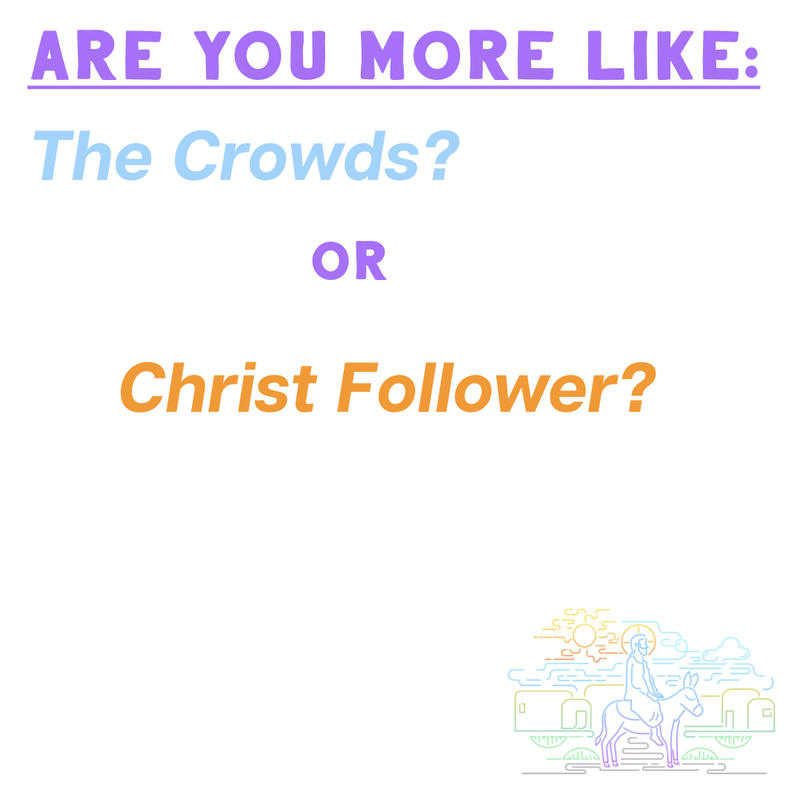 In what way is your life different because you know Jesus? In what ways are you still going back to the “tomb” of your previous life instead of living (with Christ) the resurrected life He provides? Easter weekend. This is a BIG weekend, isn’t it? Some of you will hunt Easter eggs. Others will make plans to have a special meal with friends or family. Many of you will head to church for worship services on Friday night and Sunday morning. Several of you have bought special clothing to wear to an event this weekend (and are now taking those clothes back to find something warmer). There is a lot going on! 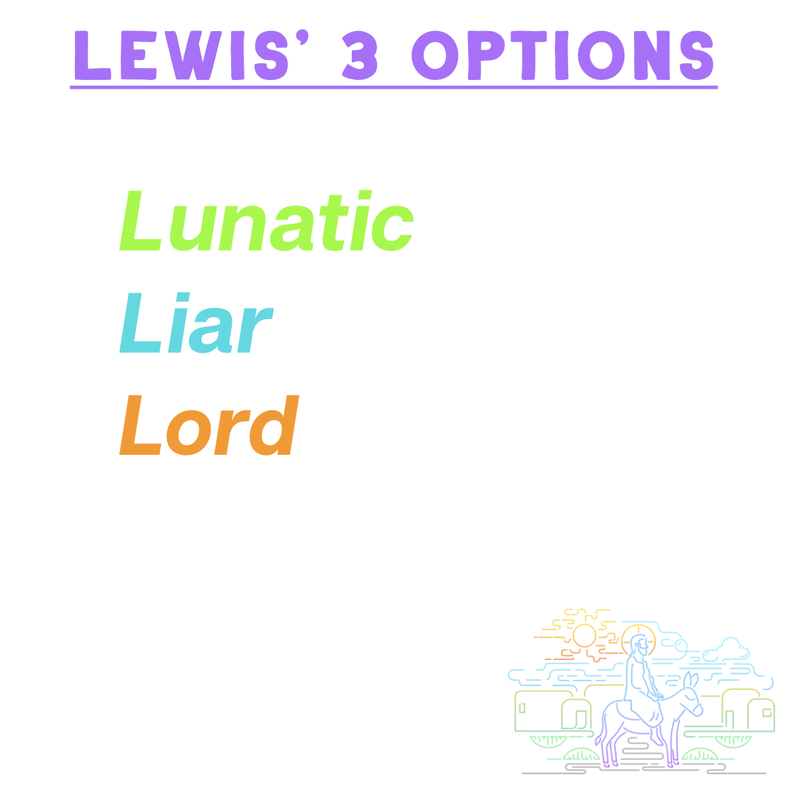 In addition to the things above that are a part of Easter weekend every year, this year brings with it a few other agenda items. The Final Four for NCAA basketball is happening in San Antonio. Norman Youth Soccer kicks off at Griffin Park. A walkout is planned for our local classrooms. 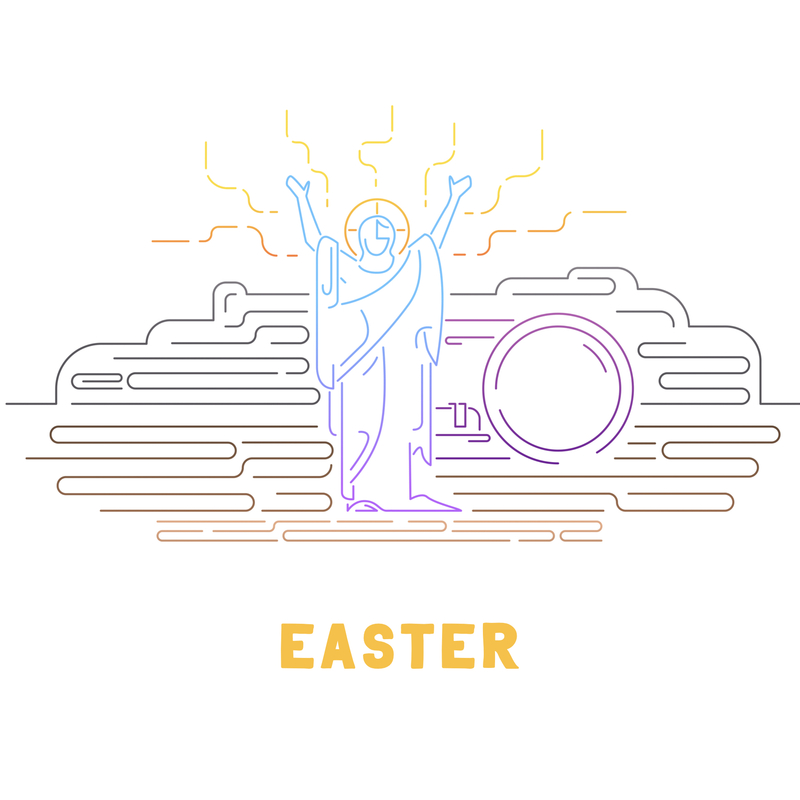 In the midst of all this, it is absolutely possible that we have arrived at Easter weekend, and Friday night Good Friday services, and Easter Sunday morning worship are just other items on our calendars. But if that is the case, let’s reset the stage . . .
Jesus’ death on the cross and His resurrection from the dead. Jesus’ death on the cross made it possible for all my sins to be forgiven. Jesus’ resurrection from the dead made it possible for me to walk about living a “newness of life” to the full! Were it not for these events, I would be weighed down beneath the weight of my own failure and without hope in this world, merely waiting for this old life to die and judgment to come. However, because Jesus died on the cross, God’s wrath concerning my sins has been satisfied and thus my sins forgiven. And, because Jesus rose, I can see the resurrection power of God provide me life today and forever. 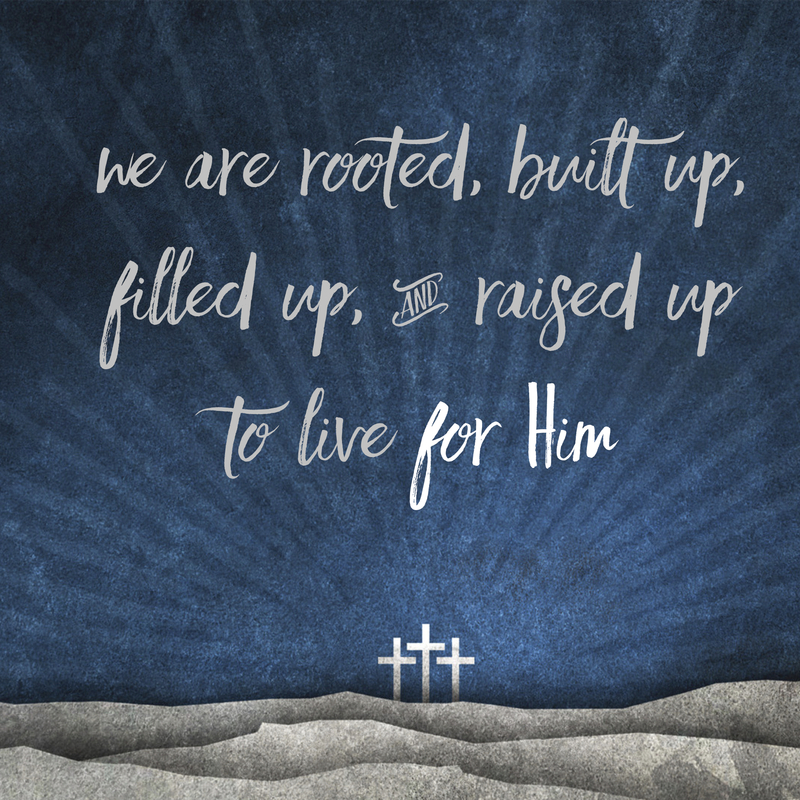 His death paid for ALL my sin and His resurrection provides for ALL my life. This weekend we will focus our attention on the God who loves us and saves us through the work of His Son Jesus Christ. 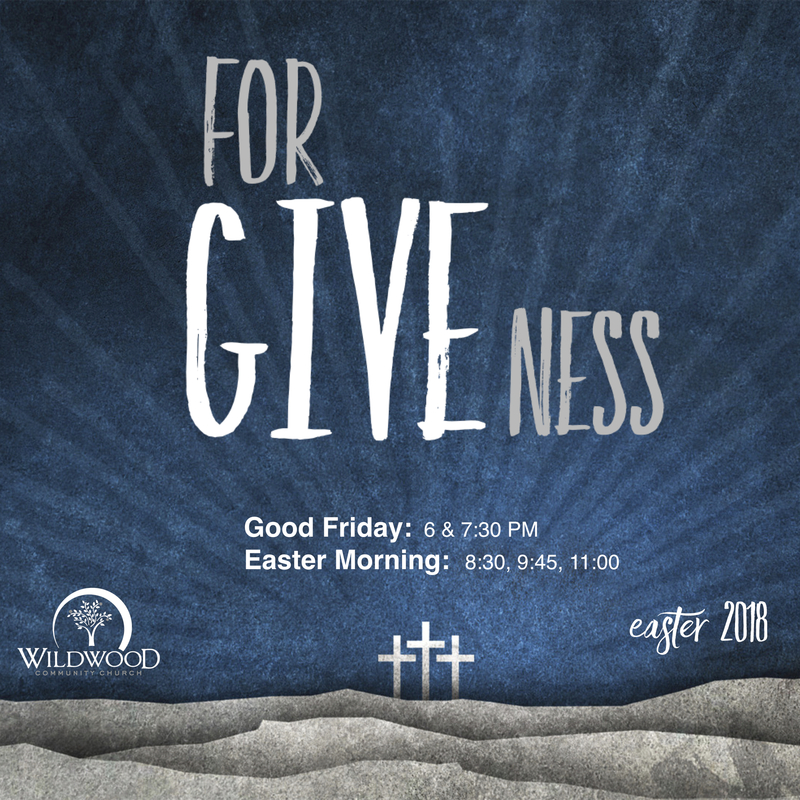 Join us at Wildwood Community Church Friday night, March 30 at 6:00 or 7:30PM as we remember the death of Jesus in our Good Friday service, and then come back Sunday morning, April 1 at 8:30, 9:45, or 11:00 as we rejoice together on Resurrection Sunday. See you this weekend! On Sunday, March 25, 2018 at Wildwood Community Church, I preached a sermon based on Mark 11:1-11 and Zechariah 9:9, 14:1-5. 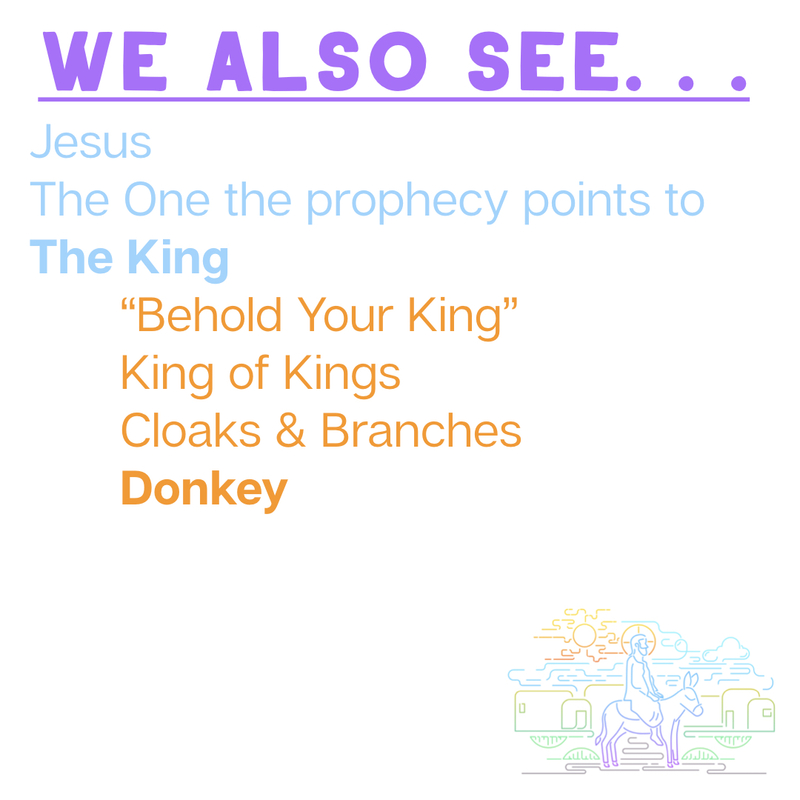 This message was a part of our Palm Sunday celebration. Below are a set of questions related to the message for personal reflection or group discussion. 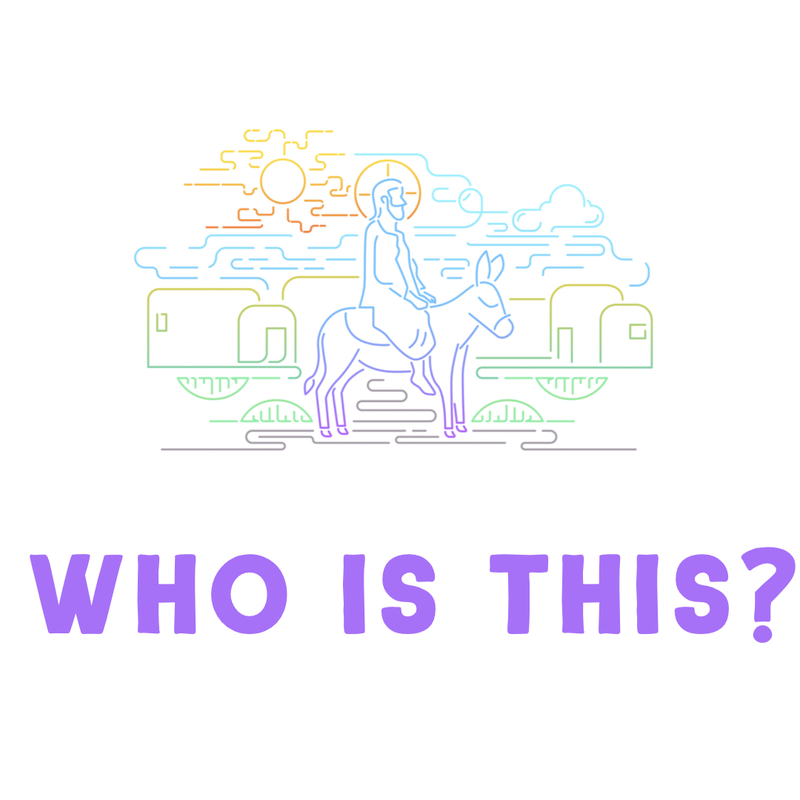 Brainstorm a list of things you know about Jesus from His life and ministry (as recorded in the Bible). 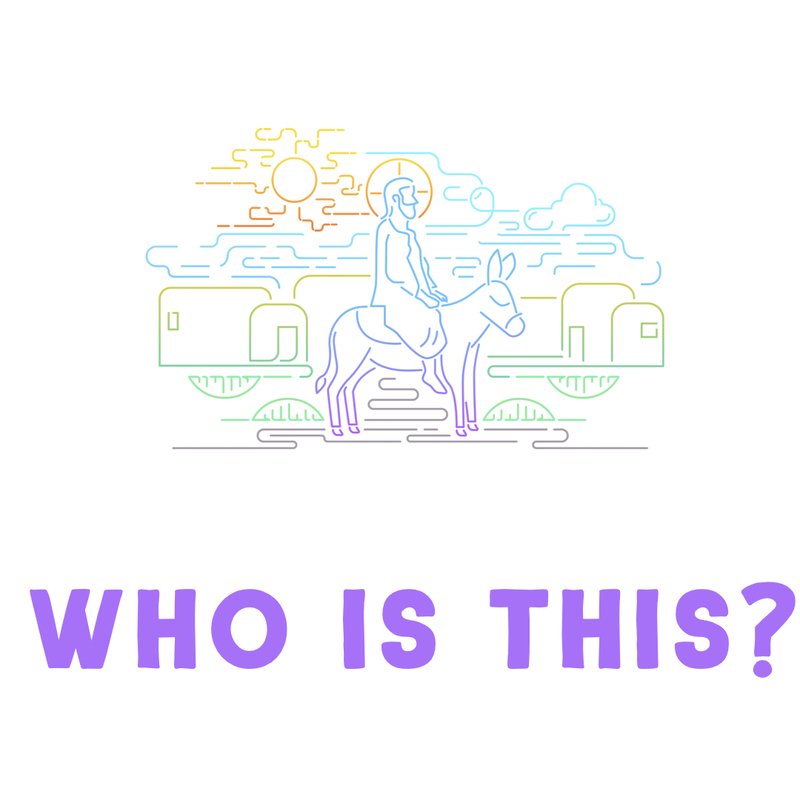 How does this evidence support His assertion that He was the Son of God? In what ways did Jesus win “peace” during His earthly life and ministry? In what way is our world still in need of peace? 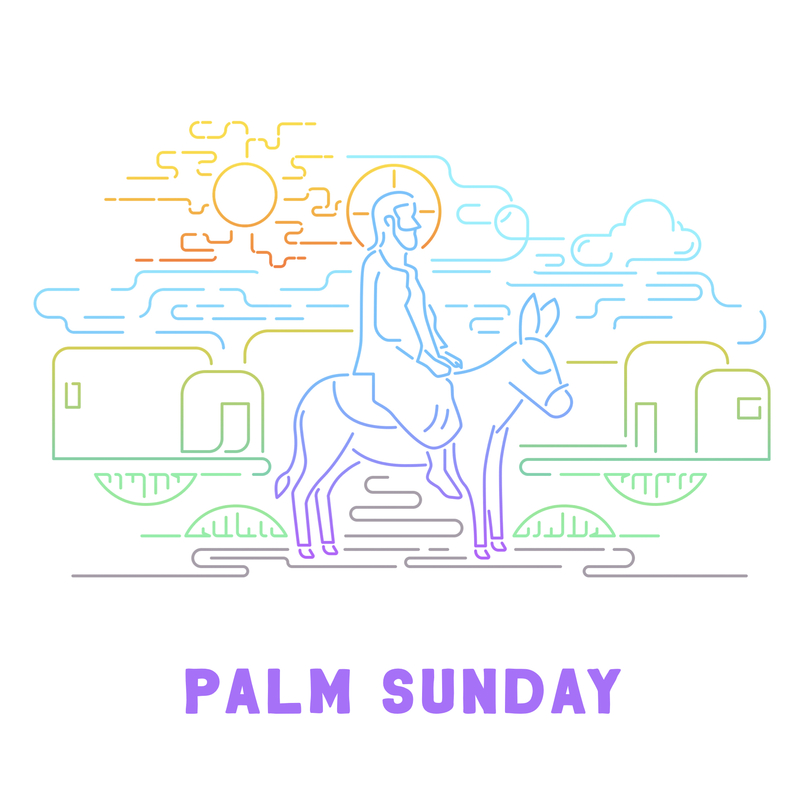 On Palm Sunday, Jesus rode down the Mount of Olives on a peaceful donkey. When He returns to the earth, He will be riding a war horse (Revelation 19). What are you most looking forward to about the promised “second coming” of Jesus? 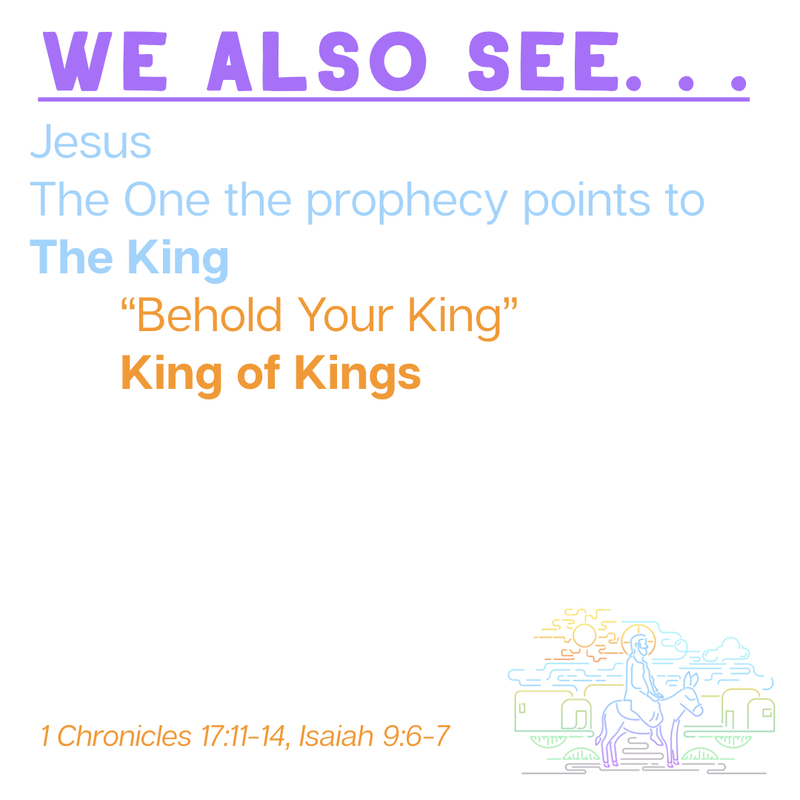 What are you most fearful/concerned about regarding His second coming? Jesus offered His life as a sacrifice for our sins on the cross. Have you trusted in Jesus Christ for the forgiveness of your sins? If so, when? If not, why not? Just east of the old city of Jerusalem runs the Kidron Valley. The western slope of this valley runs up against the walls surrounding the Temple Mount. The eastern slope of this valley runs up (past the Garden of Gethsemane) to the top of Mount of Olives. The Kidron Valley is both ancient and famous. Pilgrims have crossed its rugged terrain for thousands of years as they head up to Jerusalem for worship. If you were to visit Jerusalem today, you would notice something very interesting about this area — not only is it swamped with tourists, but it is also covered . . . with tombstones. The Israeli equivalent of Social Security, actually covers the burial expenses for all its citizens. Israeli citizens can be buried for free in any cemetery throughout the country EXCEPT on the Mount of Olives (headed down into the Kidron Valley). Citizens buried here must pay a premium price. At this point, we want to ask a question: WHY are so many people paying money to be buried in this particular location? 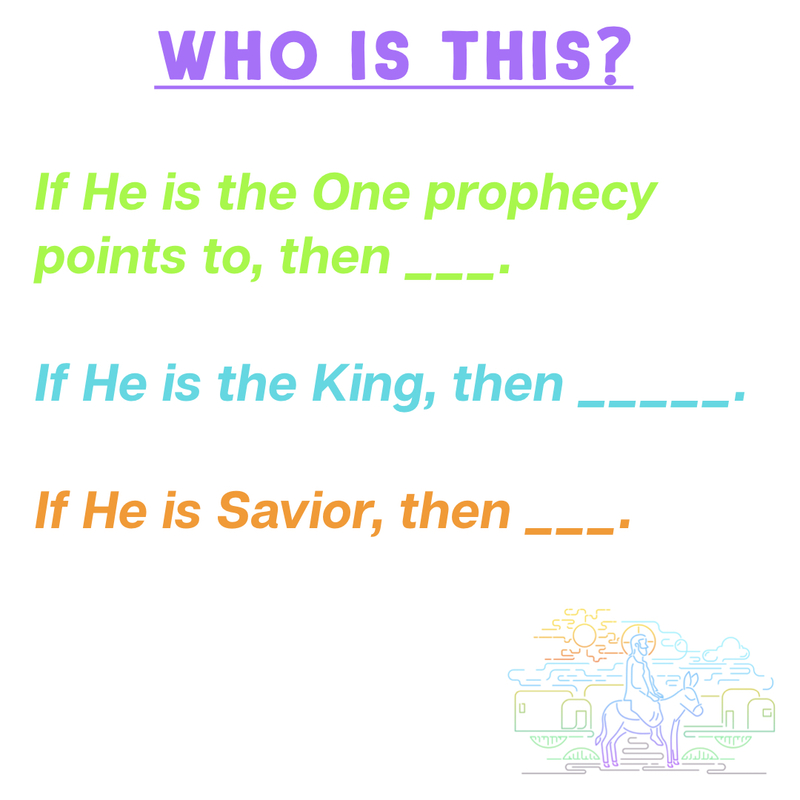 The answer to this question is found in Zechariah 14:1-5. 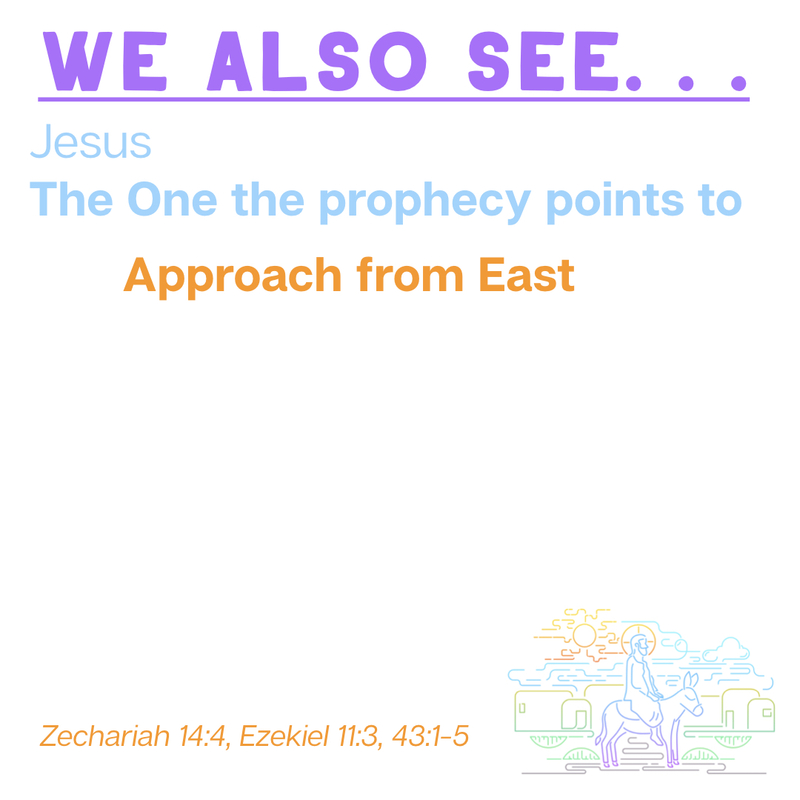 In these verses, Zechariah (a prophet) under the inspiration of the Holy Spirit talked about the promised Messiah — the Savior of the world — approaching Jerusalem by walking down the western slope of the Mount of Olives, across the Kidron Valley, and entering Jerusalem’s Eastern Gates. 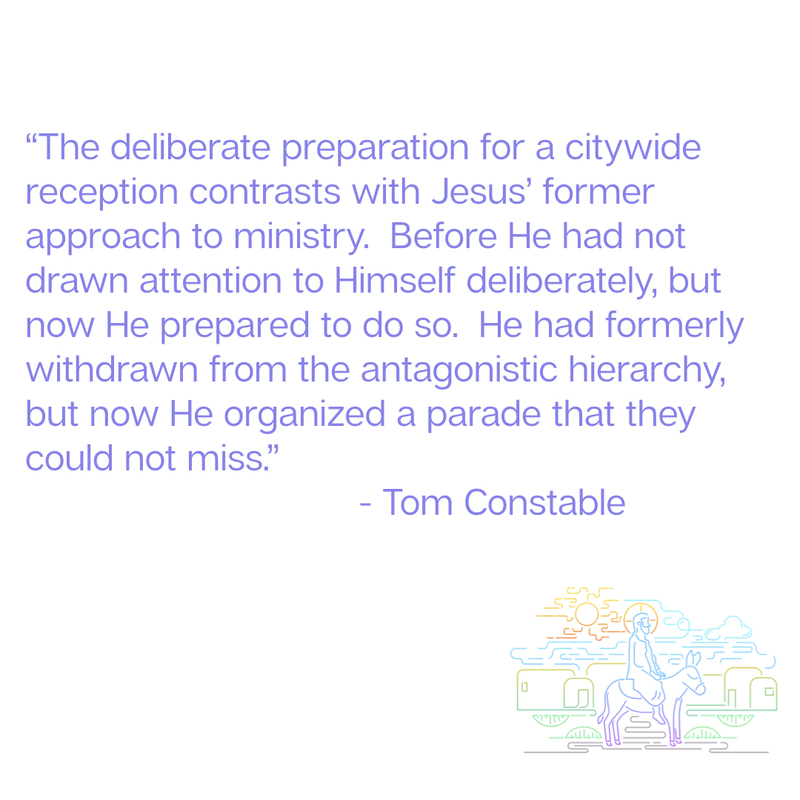 A portion of present-day Jews believe a resurrection will accompany the entrance of the Messiah to the city. Therefore, wealthy Jews who hold this belief want to be buried on the Mount of Olives with their feet facing the Eastern gates of the city. 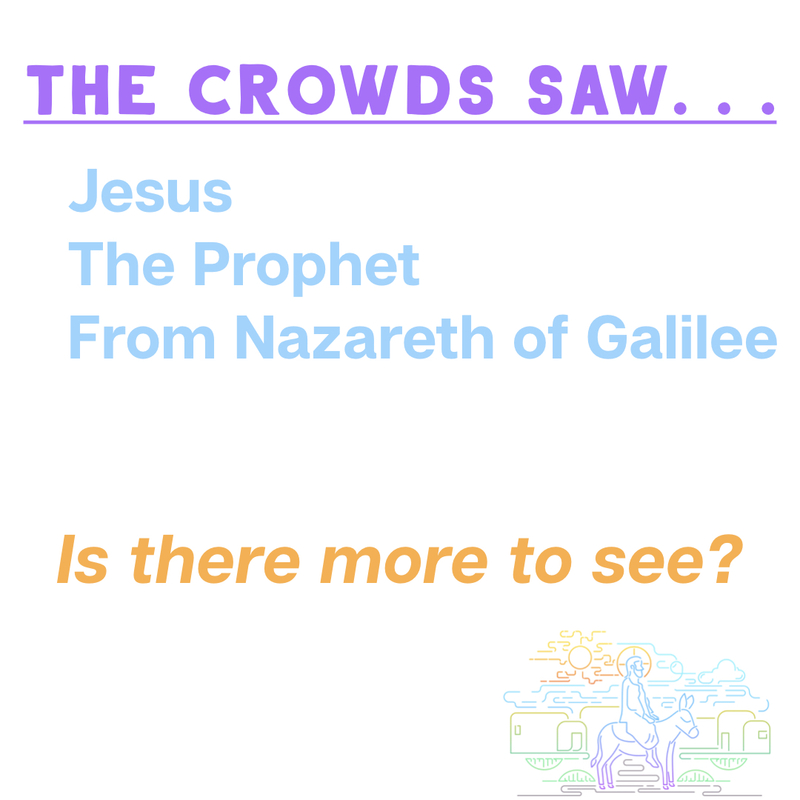 This way, when Messiah comes, they will rise with Him and enter the city again triumphantly! Interestingly enough, there is even a tomb in the Kidron Valley ascribed to the Prophet Zechariah. 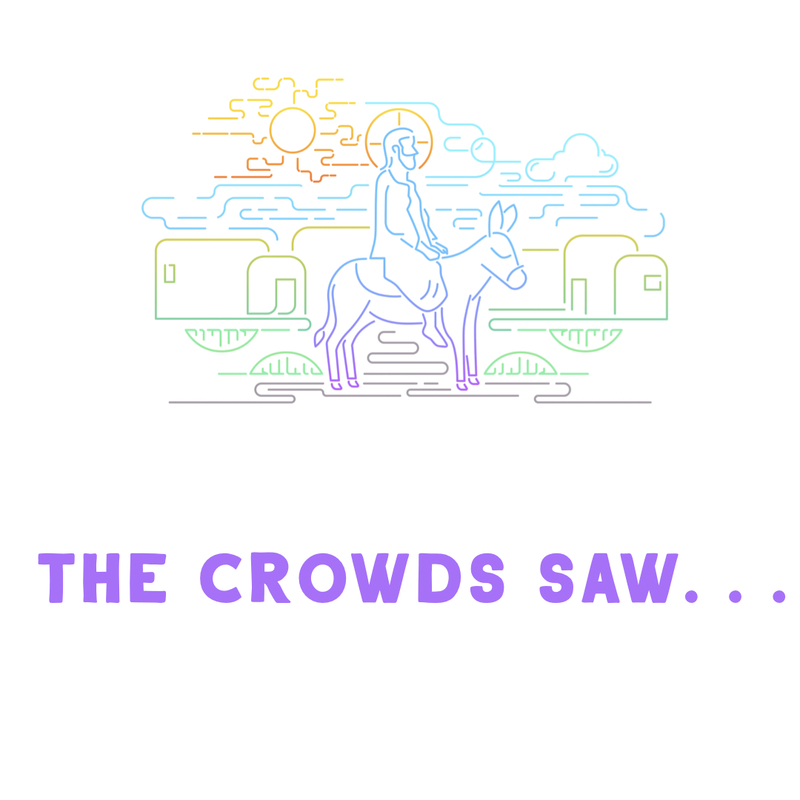 This way the prophet would be one of the first to rise and enter the city with the Messiah . . . an event he wrote about but did not experience in his lifetime. 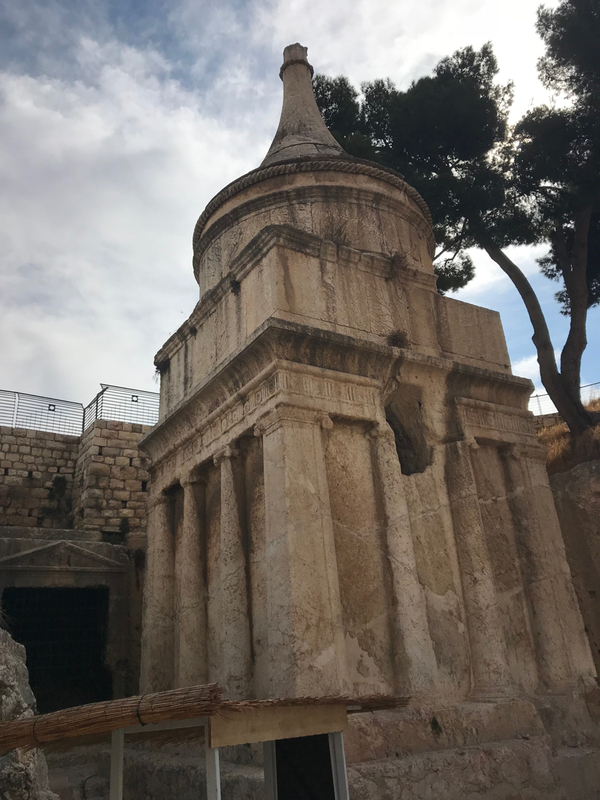 Zechariah’s tomb sat between the Garden of Gethsemane (on the western slope of the Mount of Olives) and Jerusalem’s Eastern Gate. Here is where this really gets interesting . 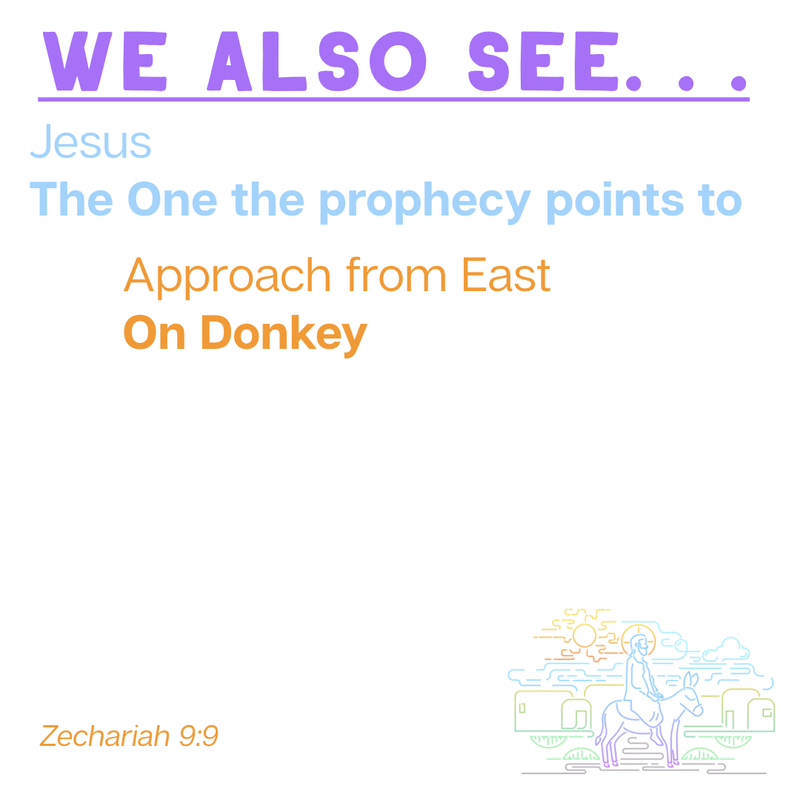 . . 2,000 years ago when Jesus approached Jerusalem on Palm Sunday, He did so walking down the Mount of Olives, past the Garden of Gethsemane, and past the tomb of Zechariah, riding on a donkey (something Zechariah ALSO talked about in Zechariah 9:9). How was Jesus’ entry into Jerusalem a fulfillment of Zechariah’s prophecy? 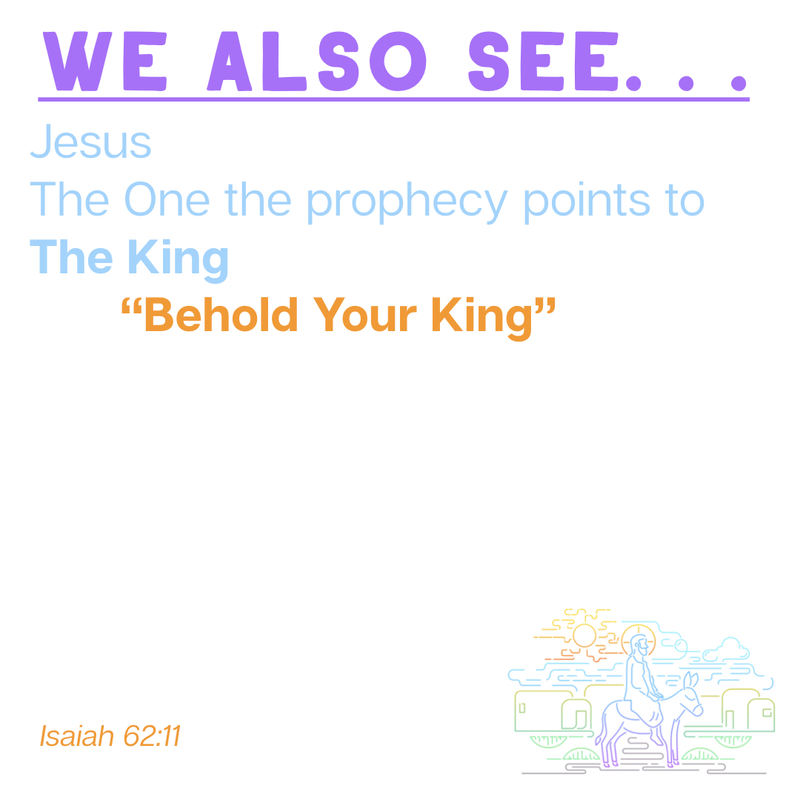 What ELSE did Zechariah say, and how come those things have not come true yet? 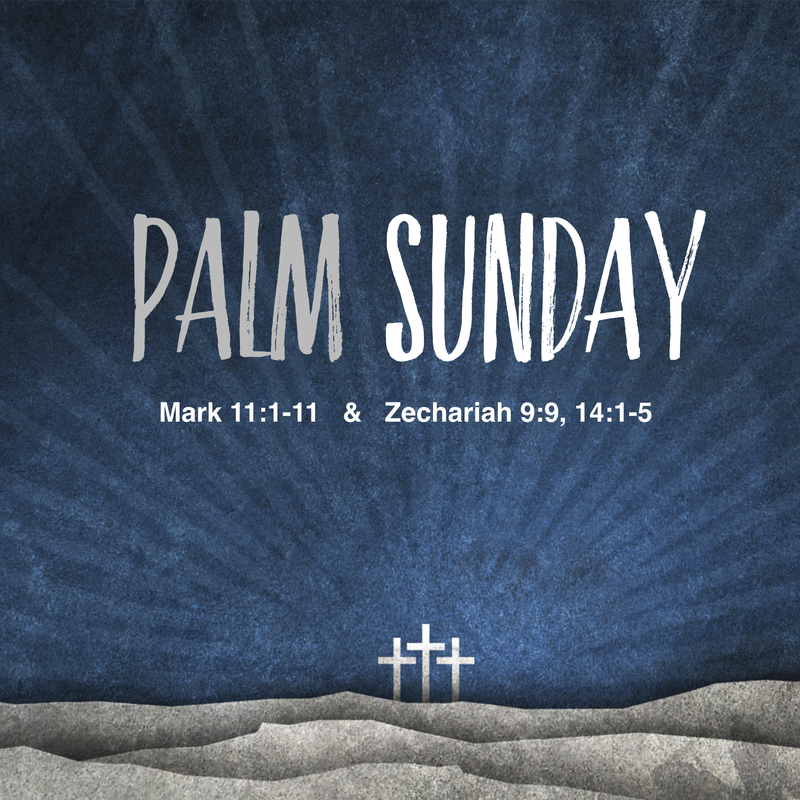 What is the significance for us today of the events of Palm Sunday? Join us this Sunday, March 25 at Wildwood Community Church as we will be looking at the events of Palm Sunday through the lens of the prophecy of Zechariah. In preparation for Sunday, you may want to read Mark 11:1-11 and Zechariah 14:1-5. We look forward to seeing you in our 8:30, 9:45, or 11:00 service. 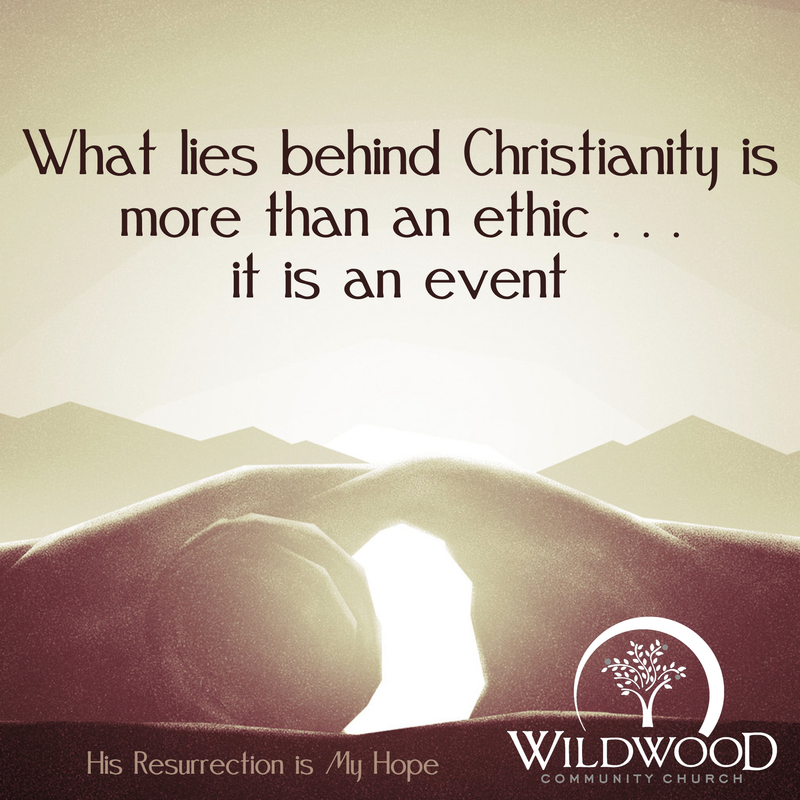 On Sunday, April 16, 2017 at Wildwood Community Church I preached a message entitled “Resurrection.” The message was based on John 21:1-19 and was a part of the Easter Sunday celebration. Below you will find the sermon audio to listen to or share.